Archaeologists have announced the discovery of an ancient building believed to be a barque station from the time of Queen Hatshepsut. 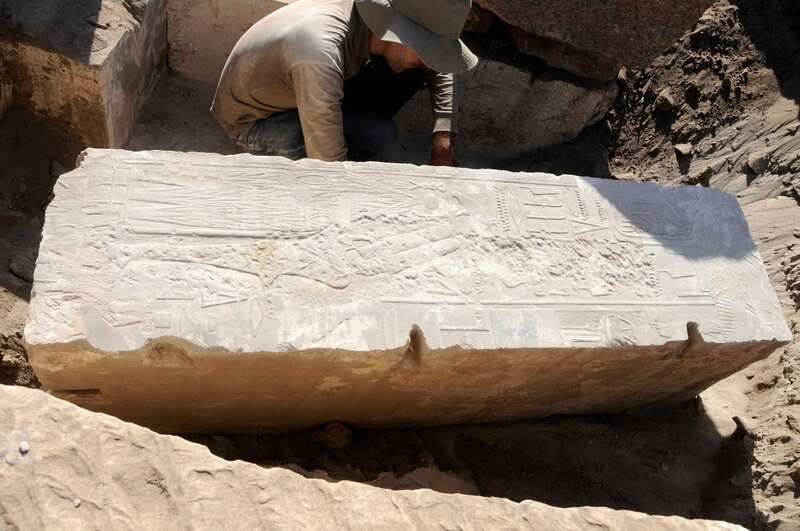 The station, comprising of a number of stone blocks was unearthed by the German Archaeological Institute during excavations on Elephantine Island. Ancient Egyptian barques were a type of boat used from Egypt’s earliest recorded times and are depicted in many drawings, paintings, and relief’s that document the culture. Transportation to the afterlife was believed to be accomplished by way of barques as well, and the image is used in many of the religious murals and carvings in temples and tombs. Temples often included barque shrines “Stations” in which the sacred barques rested when a procession was not in progress. In these stations the boats would be watched over and cared for by the priests. According to Dr Felix Arnold – Field director of the mission, the building served as a way-station for the festival barque of the god Khnum. The building was later dismantled and about 30 of its blocks have now been found in the foundations of the Khnum temple of Nectanebo II. Previous excavations on the site by the Swiss Institute discovered some of the initial remains, but their function has now only just become clear. Female representation of Hatshepsut (highlighted by red lines) that was later replaced by the image of a male king (Photo German Archaeological Institute). The building originally comprised of a chamber for the barque of the god Khnum, which was surrounded on all four sides by pillars. On the pillars are representations of several versions of the god Khnum, as well as other gods, such as Imi-peref “He-who-is-in-his-house”, Nebet-menit “Lady-of-the-mooring-post” and Min-Amun of Nubia. Several of the blocks contain the inscriptions of Hatshepsut as a woman, suggesting that its construction is most probably during the early years of her reign. Only very few buildings from this early stage of her career have been discovered so far. The only other examples have been found at Karnak.